At the Pennsylvania Gobblers field school you spend a week learning all about Pennsylvania’s wild turkey, its habitat needs, biology, management and more! at the Krislund Camp and Conference Center in the heart of central Pennsylvania near Madisonburg. Accommodations include a large classroom space, basic cabins with bunk beds and shared bathrooms. 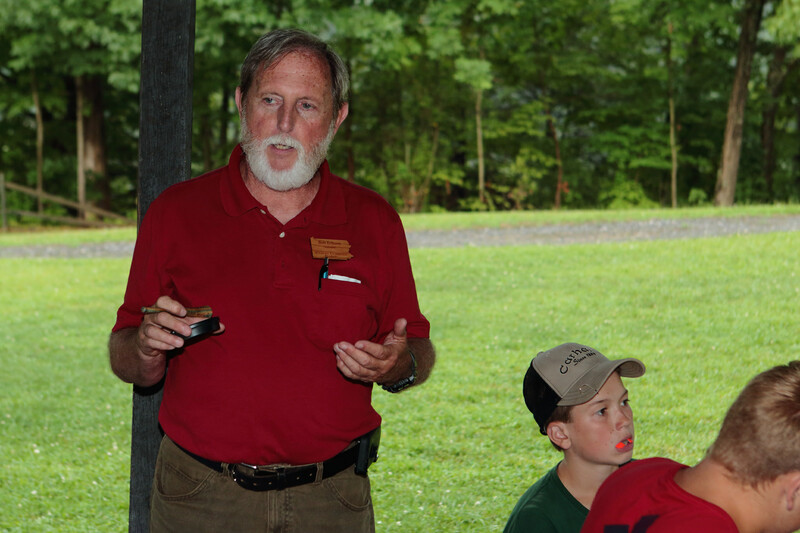 teach at the Pennsylvania Gobblers field school from various agencies, conservation organizations, universities and more, including the Pennsylvania Game Commission, the National Wild Turkey Federation, and more! From one of our students! The program allowed me to work at a position of leading and working for the protection and preservation of wildlife. The experience was something I was able to take into high school, college, and beyond! SEE THE PICTURES BELOW TO FIND OUT WHAT STUDENTS WILL LEARN! 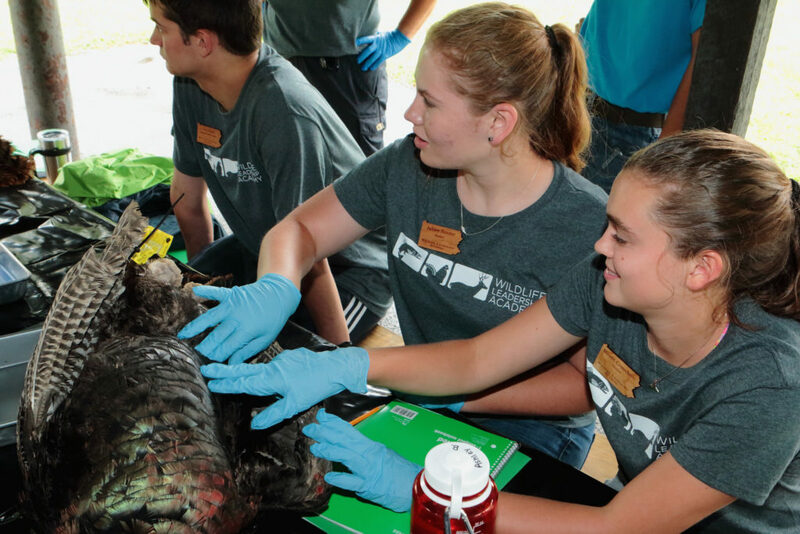 ANATOMY AND NUTRITION: Students learn about what turkey eat and why as well as compare their anatomy to other bird species. 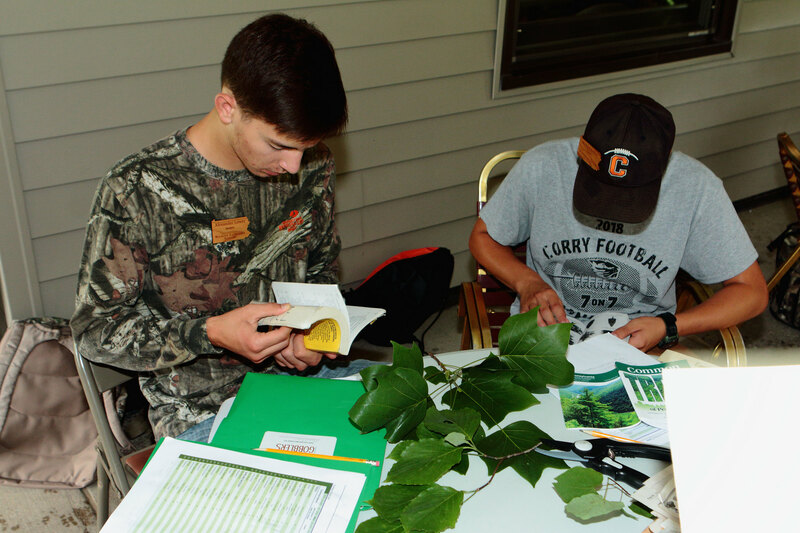 PLANT ID AND COLLECTION: With the support of ecologists, students learn what plants are important to turkey, how to identify them and create their own plant collection. TECHNIQUES IN THE FIELD: Students learn about turkey capture techniques in the field from the PGC’s turkey biologist. 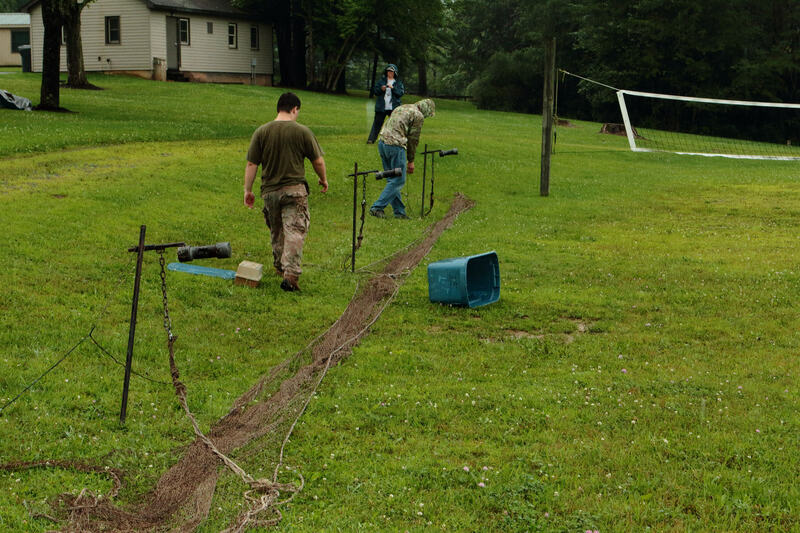 TURKEY CALLING: Students learn turkey calling techniques from NWTF staff and volunteers. 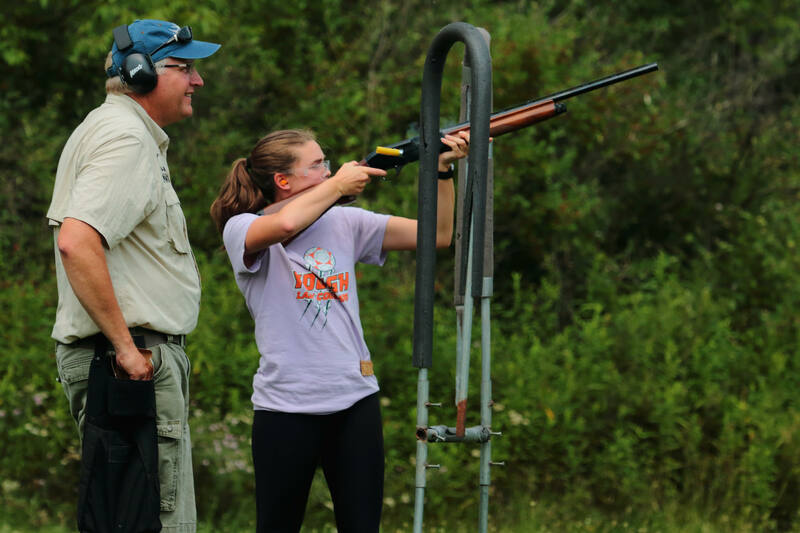 RANGE TIME: Students learn about firearms safety from NRA certified instructors and spend time at the range. Become a part of this summer’s class of PA Gobblers students by applying today! Click to learn about the benefits of becoming a Conservation Ambassador!